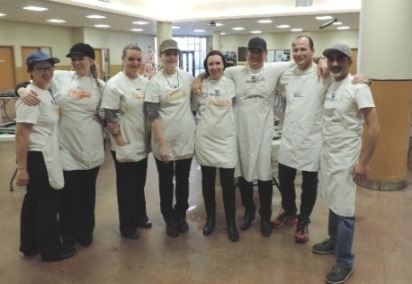 Today a group of Duncan Craig LLP lawyers and staff helped prepare a meal at the Hope Mission. In 1929, Reverend Harold Edwardson established a soup kitchen in Edmonton's inner city serving meals to hundreds of people struggling with unemployment and homelessness at the onset of the Depression. They have grown into a not-for-profit Christian social care agency caring for impoverished and homeless men, women and children in Alberta.